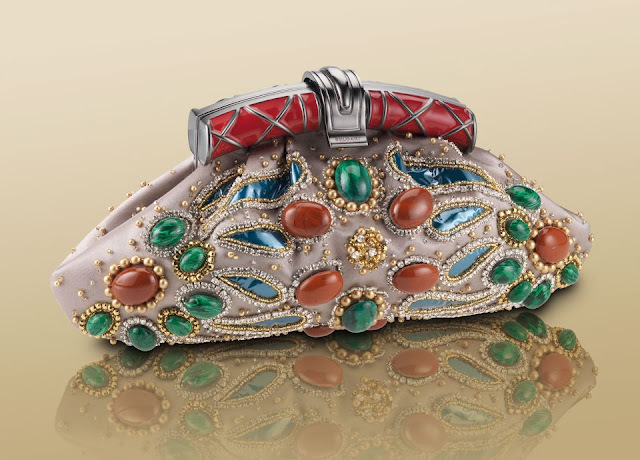 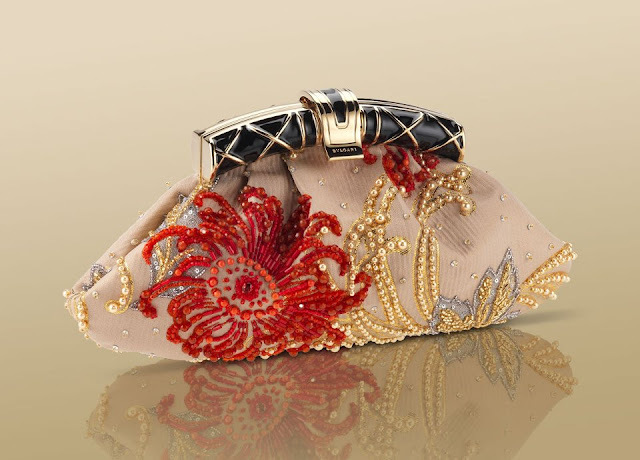 Bulgari pochette in sand satin embroidered with gold plated beads, crystals and malachite paste pearls with red enamel dark ruthenium plated hardware closure. Bulgari pochette in black damasco fabric embroidered with pearls and paillettes with black enamel palladium plated hardware closure. Bulgari pochette in cream satin embroidered with multifaced glasses and with cream enamel light gold plated hardware closure. 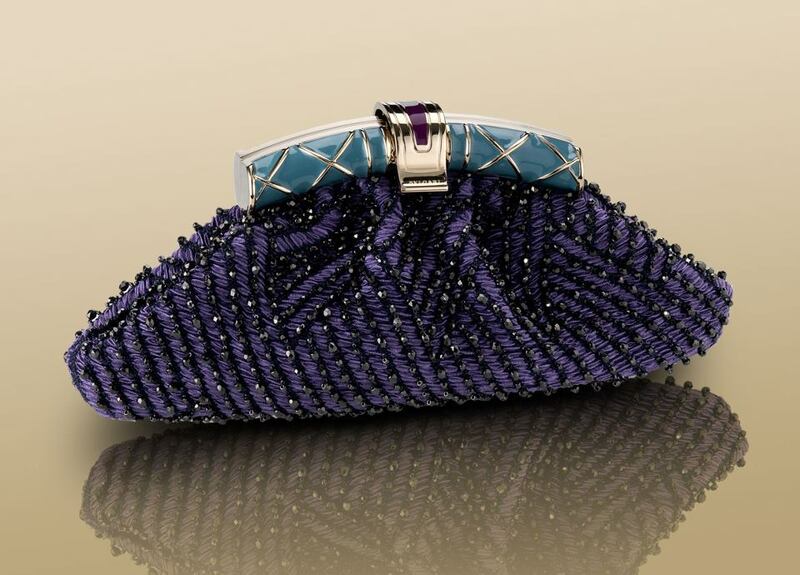 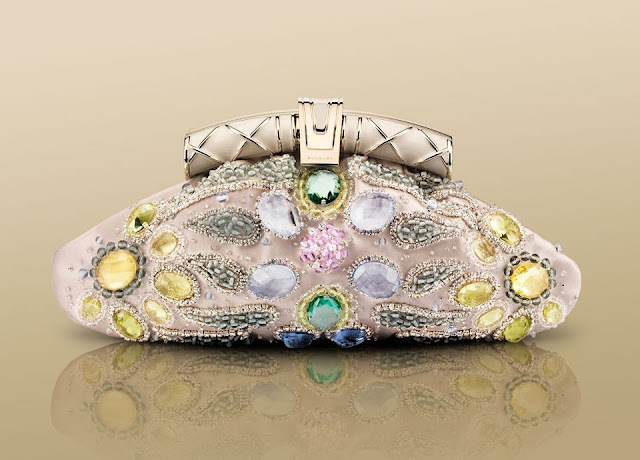 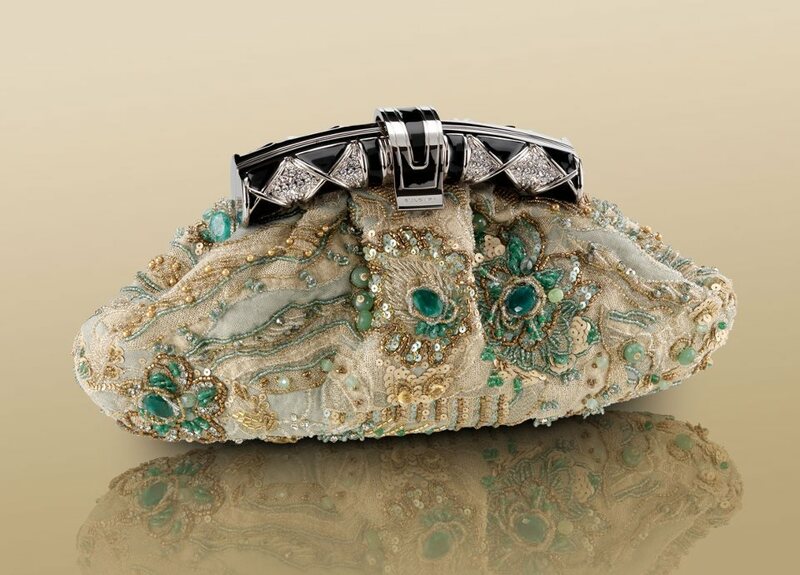 Bulgari pochette in jade green floreal damasco fabric embroidered with paillettes, beads and jade pearls. 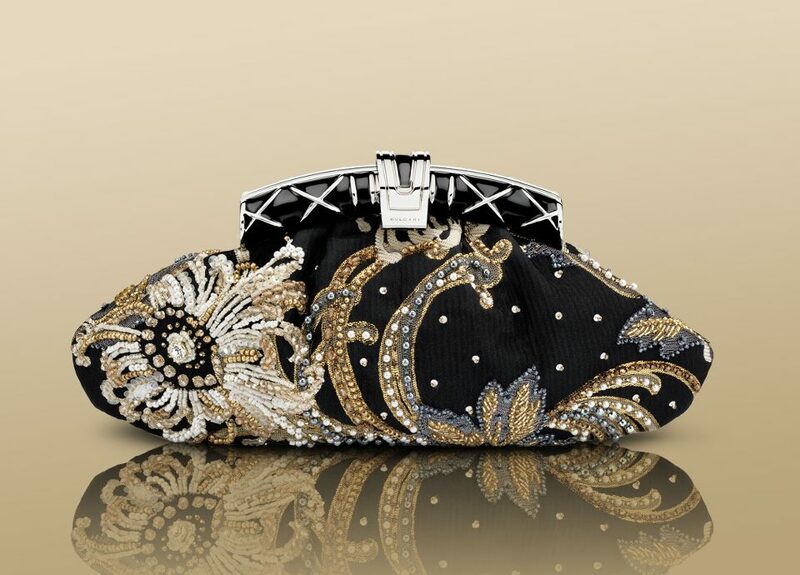 Black enamel palladium plated hardware closure decorated with crystals.